With heavy heart, I sadly convey, that our little angel ‘HAMSAT VO-52’ would no more be able to offer her services to the ‘Amateur Radio Fraternity. HAMSAT VO-52 succumbed in Space on 11th July 2014, while she was on her 49,675th orbit, due to the failure of on-board lithium ion batteries that have met their end of life. Although her desires were to be at work with other systems and sub-systems working normal as per the latest telemetry received, the on-board computer recurring to ‘Reset’ mode due to the failure of batteries is preventing her to do so. Hence, it is decided not to expect any more meaningful and reliable services from HAMSAT VO-52. Since 11th July, every best possible effort has been put in by the spacecraft controllers here in ISTRAC Bangalore to revive her back to life and to help her with work load, so she won’t be swamped when she returns, but with no luck. Though it is hard, the HAMSAT VO-52 designers and controllers insist that the time has come to let the little angel free in space to go drifting on her own from their care and custody. around the World. We are sure that HAMSAT was loved by all who worked through her. Though, we are deeply saddened by the loss of HAMSAT VO-52, but she will never be forgotten and far from our hearts, minds and memories. HAMSAT VO-52 will always be remembered by all of us here in ISRO as one of the greatest satellites of ours. Dear ‘HAMSAT’, looking at the sky, we all say ‘Good Bye’ to you. You’ll be greatly missed. Rest in Peace. 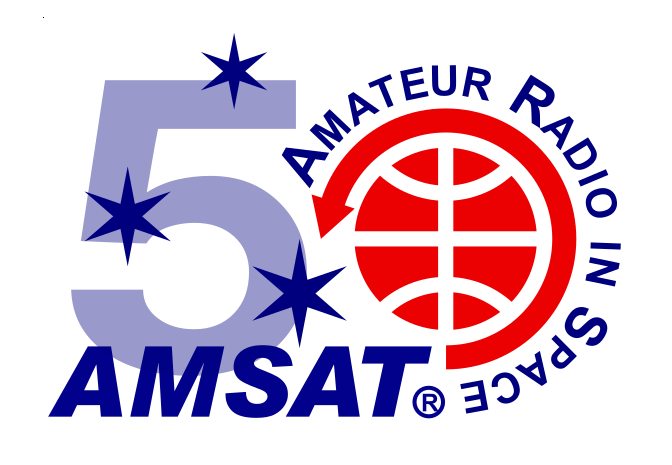 Nevertheless, at this point of time, on behalf of the World Amateur Radio Fraternity, we thank each and everyone who contributed to the great success of ‘HAMSAT’. Particularly, our sincere thanks to the Chairman ISRO, Dr. K.
Radhakrishnan, past chairmen Dr. Kasthurirangan, Dr. G. Madhavan Nair, Director-ISAC Dr. S.K.Shiva Kumar, past ISAC Directors Dr. P.S. Goel, Dr.
Shankara, Dr. T.K. Alex, Director-ISTRAC Shri. B.S. Chandrasekhar, scientific secretary Dr. Koteshwar Rao, Project Director-Shri. J.P. Gupta, Deputy project Directors, Mission Director-Shri. R.Suresh, Operations Director-Shri. Parimalarangan and each and every person directly or in-directly contributed. At this point of time, we also thank AMSAT-India and in particular, late Shri. Nagesh Upadhyaya-VU2NUD, Shri. B.S. Gajendra Kumar-VU2BGS, Shri. Prathap Kumar-VU2POP, Air Commodore. Subramanian-VU2UV, Shri. V.P. Sandlas-VU2VP, Dr.R. Ramesh-VU2RMS, Shri. Nitin-VU3TYG, Mr. Williams Leijenaar PE1RAH and each and every member. 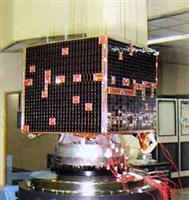 HAMSAT, the first small satellite by ISRO has been Decommissioned after nearly a decade of service to the World Ham community. A true masterpiece among small satellites, designed for one year mission life, but exceeded all expectations by serving for almost 10 years. A truly autonomous satellite, with “Zero maintenance“ in terms of Mission operations, it provided a springboard to test many new concepts such as BMU. LI-ion based power system, automatic Spin rate control and Auto SAOC for maintaining the Satellite attitude without any ground commanding. HAMSAT known as “OSCAR-52” among the Amateur HAM operators has been very popular because of its high sensitivity receiver and strong transmitter. Indian Radio Amateurs on many occasions conveyed to us that they have been greatly honored to share the adulations showered on ISRO and INDIA by the International Radio Amateur for gifting this wonderful satellite “HAMSAT”. I take this opportunity to applaud the HAMSAT teams at ISAC, ISTRAC and other centre for their efforts and support, which has made ISRO proud among the HAM users across the globe. HAL Airport Road, Bangalore-560 017.